I obtained this VT55 DecGraphic Scope in June 2007. 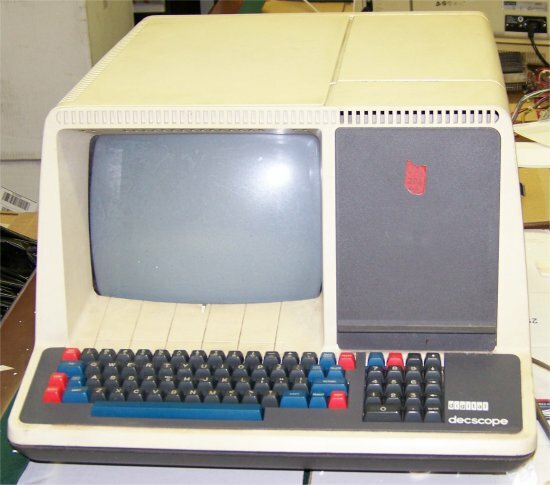 The VT55 is similar to the VT52, but has a primitive line and bar graph drawing capability. It currently is not working.